Intro To Yoga, a 4 week experience. 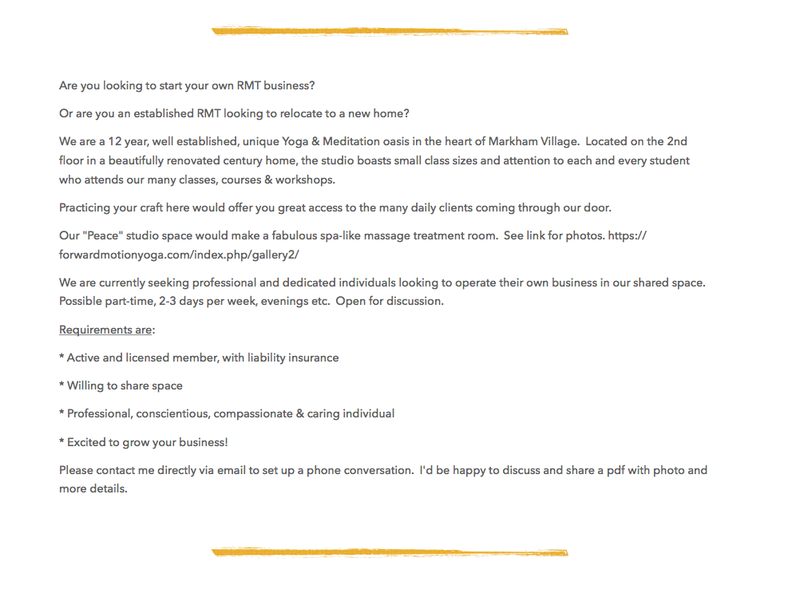 We’re actively looking to share our beautiful space with a qualified RMT. If that’s you, contact Cheryl to discuss. OR, maybe you know someone…..